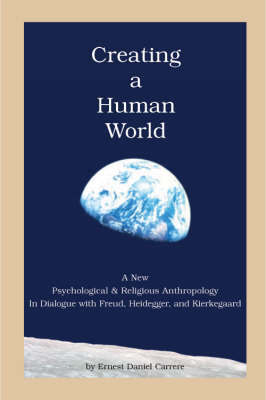 In "Creating a Human World", Trappist monk and scholar Ernest Daniel Carrere explores what it means to be fully human, to live in a shared world, and to resist the easy tendency to flee reality and seek pleasure in material pursuits. To do so he examines the writings of three great modern thinkers - Sigmund Freud, Martin Heidegger, and Soren Kierkegaard - and proposes a new reading of their work in light of his own understanding of New Testament teachings. Carrere elucidates the paradoxical spiritual truth that salvation lies not in an escape from humanity, but in embracing it. An interdisciplinary tour de force, this book will appeal to anyone interested in philosophy, psychology, religion, or cultural anthropology. Publisher: University of Scranton Press,U.S.